LEGO DC Comics Super Heroes: Aquaman – Rage of Atlantis is currently available on Blu-ray Combo Pack, DVD, and Digital. If you are looking for a fun animated movie featuring familiar characters from DC Comics and focusing on Aquaman and Atlantis, I recommend watching it. The DC Comics-based LEGO movies are always enjoyable and Aquaman – Rage of Atlantis is no different. Even though I am not a fan of Aquaman, I still found myself smiling and laughing throughout the approximately 77 minutes runtime. Also, watching Rage of Atlantis can help a lot of fans not familiar with the lore to learn some basics as the Aquaman live-action film nears release. The film was directed by Matt Peters from a script by Jim Kreig and Jeremy Adams. Jason Cosler, Rober Fewkes, Sam Register, Jill Wilfert, and Brandon Vietti serve as executive producers. Dee Bradley Baker voices Aquaman while Jonathan Adams plays Atrocitus. Troy Baker is Batman, Grey Griffin is Wonder Woman as well as Lois Lane. Khary Payton voices Cyborg with Nolan North as Superman. Alyson Stoner voices Barbara Gordon, Cristina Milizia is Jessica Cruz, Eric Bauza is Jimmy Olsen, and Scott Menville plays Damian Wayne. New cast members include Susan Eisenberg as Mera, Trevor Devall as Ocean Master, and Fred Tatasciore as Lobo. Coming to the plot, Aquaman has been used as a joke character in a lot of media. The fish-related puns are too easy. That’s why I appreciated Rage of Atlantis addressing the situation. He is a useful member of the Justice League even if talking to marine life isn’t a power you want. The current animated film has Aquaman being forced to give up his crown to his brother and figuring out a way to battle the Red Lantern Atrocitus, who wants to deplete all of the water on Earth. The movie’s title came from Atrocitus using the Red Lantern to fuel the rage of the Atlantians and having them do his bidding. While Arthur goes through a personal arc to regain his confidence, he does get help from Batman, Superman, Wonder Woman, Cyborg, and newcomer Jessica Cruz. All of the characters had distinct personalities and quirks. So, it was fun seeing them interact with each other. Also, with Superman losing his powers on a planet with a red sun, a depowered Man of Steel made for a number of comedic moments. Batman’s Deux ex Machina utility belt was a running gag and I loved it! 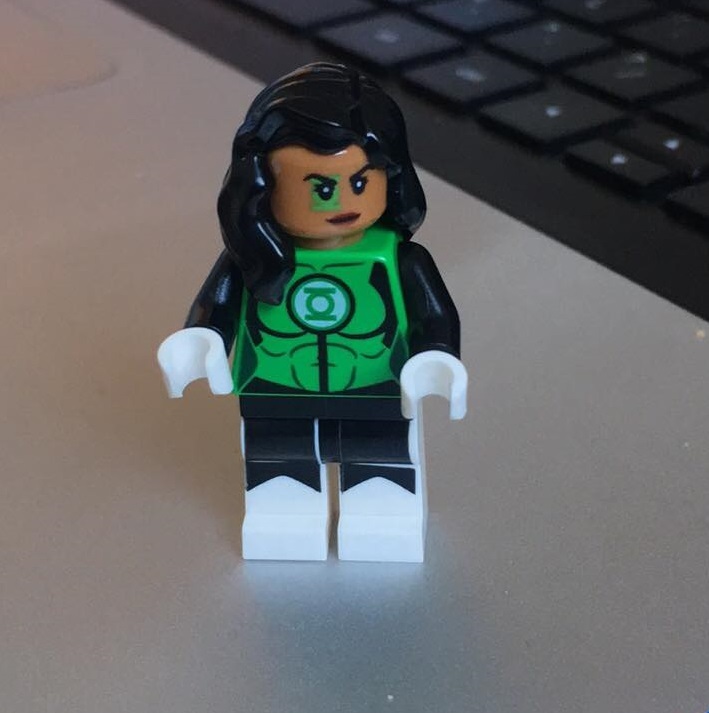 Jessica Cruz served as the newbie of the team and I liked how the film also spent some time to show her find confidence in her abilities as a Green Lantern. Her ring was also able to negate the effects of the Red Lantern. So, she had an important role to play in Rage of Atlantis. 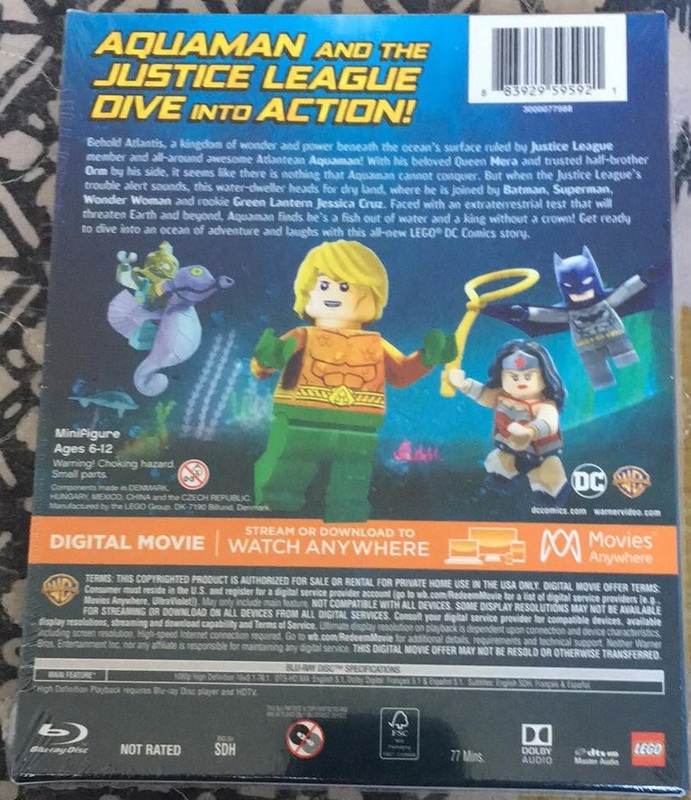 The LEGO DC Comics Super Heroes: Aquaman – Rage of Atlantis Blu-ray Combo Pack also comes with a Limited Edition Jessica Cruz LEGO mini-figurine. She is cute in the movie and she is cute as a mini-figurine! Available right now, the front of the film’s packaging features the main artwork while the back has the details. As expected from Warner Bros. Home Entertainment releases, Rage of Atlantis offers satisfactory video (1080p High Definition 16×9 Widescreen 1.78:1) and audio (DTS-HD MA: English 5.1) presentation. The colors are bright (the underwater realm of Atlantis looks beautiful) and the sound is clear during action sequences as well as when characters are just talking. The DVD visual presentation is 16×9 Widescreen 1.78:1 with the audio being English Dolby Digital 5.1. 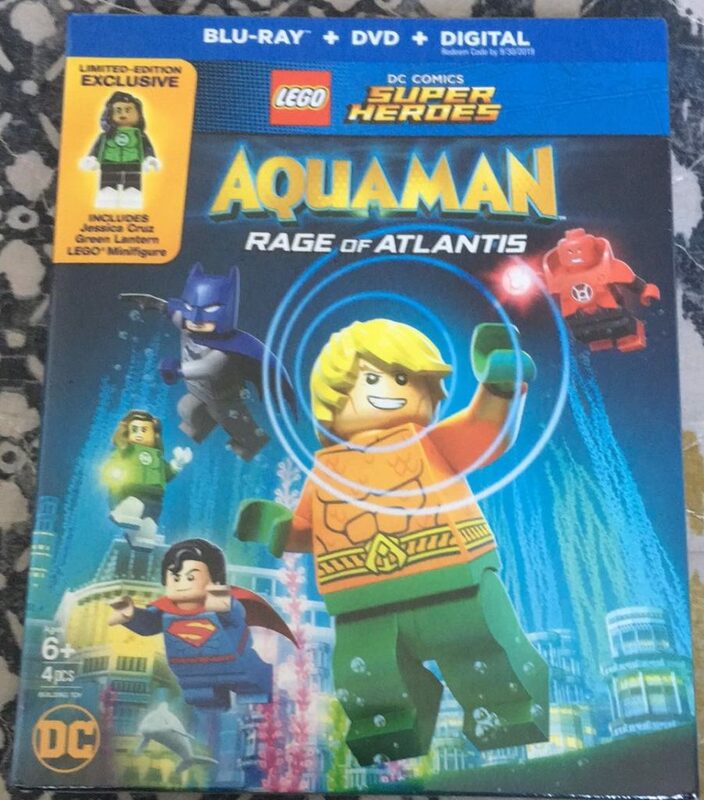 LEGO DC Comics Super Heroes: Aquaman – Rage of Atlantis is a story about teamwork, leadership, and finding confidence in yourself. I do think kids will highly enjoy it. And if you have some time and want a dose of light-hearted comedy featuring DC Comics characters, you should watch it, too. Feel free to share your thoughts about LEGO DC Comics Super Heroes: Aquaman – Rage of Atlantis with us.